I believe that every family should feel informed, supported, listened to, and loved during pregnancy and childbirth! No matter what your hopes and preferences are for the birth of your dreams, I’ll be there to support those choices. I don’t believe that there’s only one way to have a “good” birth. Whether you choose pain medication or not, whether you’re having a cesarean birth, or whether this is your first or fifth baby, I’ll be there to provide continuous support and comfort. 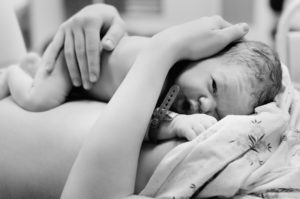 Feeling overwhelmed about your birth options? No problem! We can explore them in-depth during our prenatal meetings. The birth doula services I provide are evidence-based, non-judgmental, and tailored to meet your specific needs. 2-3 prenatal home visits where I’ll get to know your preferences, values, and coping style. We’ll practice labor comfort and coping techniques. I can help you create a list of birth preferences to share with your provider, as well as a plan for the postpartum period, so you’re not caught off-guard! Evidence-based information and resources to help you explore your options for labor and birth. On-call 24 hours a day for your birth starting at 38 weeks, until the baby is born. Continuous support during labor, delivery, and the immediate postpartum period. Support may begin at home, or when you get to the hospital, depending on your labor. I’ll stay until you’re feeling settled in after the birth, usually an hour or so, and answer any questions you might have about initial breastfeeding and newborn care.